On Saturday, October 23rd, Church @ The Springs in Ocala, Florida hosted a Celebration of Life in Jennifer’s honor. In case you weren’t among the nearly 300 in attendance, you can now view the event online by clicking here. Tremendous gratitude to Pastor Ron Sylvia and his entire team as well as Patty Laramore for their very special parts in this celebration. 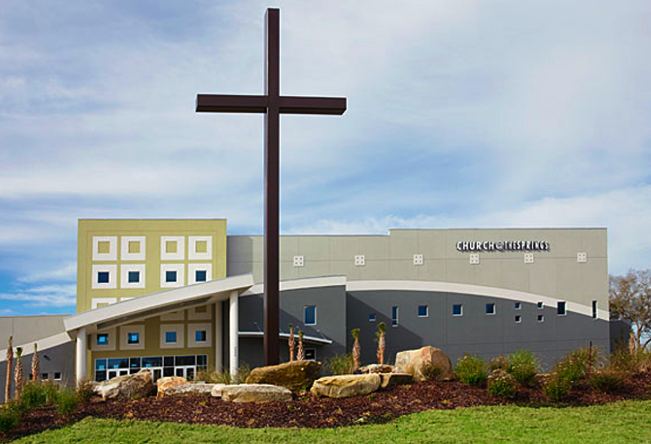 H20 Church in Ada, Oklahoma is the sort of place that makes you immediately feel at home. Each person you meet is like a long-lost friend. It’s a congregation that operates from a genuine desire to become the hands and feet of Jesus. This house of worship is literally crackling with activity; a deep sense of God’s purpose is tangible from the moment you arrive. H20 has been a pivotal part of Jennifer and John’s journey, and as a result this church has touched everyone who loves them. In fact, in the midst of our most difficult season, this extended family emerged as a shining light: praying, loving, serving and simply *being* when we needed them the most. They filled in the gaps in every sense imaginable – literally and spiritually. If you were blessed by them or have experienced something similar in your own life, you understand that there simply aren’t words to adequately express gratitude for such a gift. 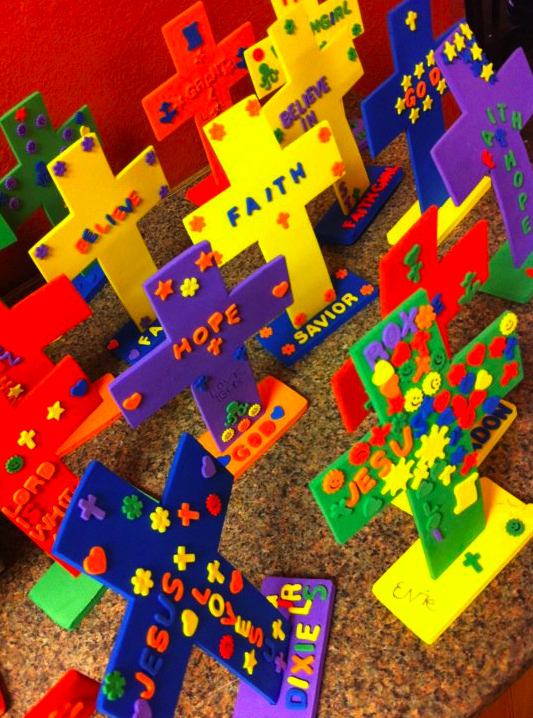 In the last month, many of you have made donations in Jennifer’s honor to benefit the H20 Children’s ministry. To date, your generosity will bless this ministry with over $2,600 and honors Jenn’s heart and life’s work in a unique way that will truly leave a legacy of faith; equipping H20 to reach more kids for Jesus. Jenn’s family, friends and the many children blessed by H20 Church thank you. The next time you’re in Ada, Oklahoma, stop by, say hello and see what God’s up to next in this amazing fellowship of believers. 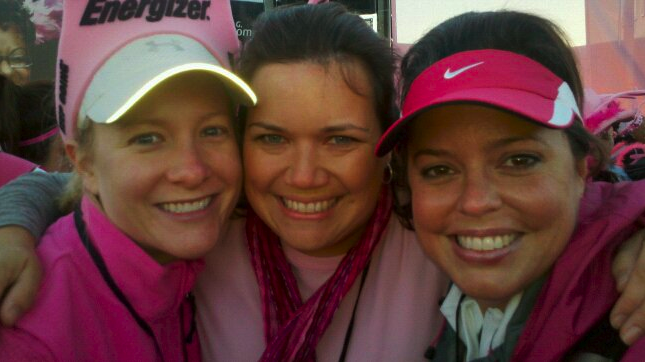 This weekend several of Jenn’s good friends including Christie Nelson, Christy McFarland and Dede McFarland will hit the streets for the Dallas / Fort Worth Susan G Komen 3-Day for the Cure. This event is no easy undertaking; it’s involved intense training (28 weeks! ), fundraising ($2,300 minimum per participant) and unwavering personal commitment. We’re talking genuine, above & beyond personal commitment that involves sacrifices like getting up at 3 a.m. for team training on an ongoing basis, financial investment and even unfortunate personal injuries (we’ll consider these a badge of honor, ladies). Would you please PRAY for these amazing women along with EVERYONE who joins them in Dallas / Fort Worth 3-Day this weekend? Pray for great weather and ideal walking conditions. Pray for endurance and that they would finish well. Pray for physical health and safety and that God would protect them from injury. Pray that God would magnify their energy from start to finish. Pray that God would fortify them emotionally from attack. Pray that they would feel God’s presence and that He would bring about amazing new friendships. Pray for the work that God will do in their hearts during this significant weekend. If you’d like to support their efforts, you can still donate to Christy Nelson, Christie McFarland and DedeMcFarland. Plus, if you’re in the Dallas / Fort Worth area you can head out to a cheer station to voice your support in a more audible way! Finally, if you’ve recently participated in a similar event in honor of Jennifer or plan to, please let us know. We’d love to acknowledge your efforts, share your story and celebrate the lives that Jenn continues to touch. In addition, my friends Nicole and Christy came to Dallas last weekend and we have been up to something….all I can say is mark your calendars for October 15-17th. Details coming soon. I can guarantee you won’t want to miss this. Stay tuned…. The backstory here is timing that could only be from God. After Jennifer’s final radiation treatment and a celebratory lunch last February, she got that sparkle in her eye that meant she was up to something BIG (you know the look I’m talking about). She proceeded to unveil a plan to bring friends and family together the weekend of October 16th, 2010 for an amazing weekend that included the Susan G. Komen 5K Walk in Dallas, TX. In typical Jenn fashion, she thought through every detail: there was a theme, an agenda, a host hotel, a menu and “goodies” for all. She fairly glowed (non-radiation related) as she shared her vision. An invitation was designed and printed. She was addressing and stamping the invitations … when God said STOP. She didn’t know why, she confided at the time, but her sense was that God had something even bigger on the horizon, and she needed to wait on His timing. When the weekend of October 16th came this year, Jenn’s friends and family were indeed gathered around her, pouring out our love. We could never have imagined the timing that God had in mind; He definitely had something MUCH bigger planned for Jennifer that particular weekend. And as for those invitations … never fear. Jennifer put far too much thought and love into this weekend for it to fall by the wayside. We’ll be praying about God’s timing to extend her very special invitation to you in the future. In lieu of flowers, the family suggests charitable donations in Jennifer’s honor be made to the children’s ministry at H2OChurch.cc in Ada, Oklahoma. 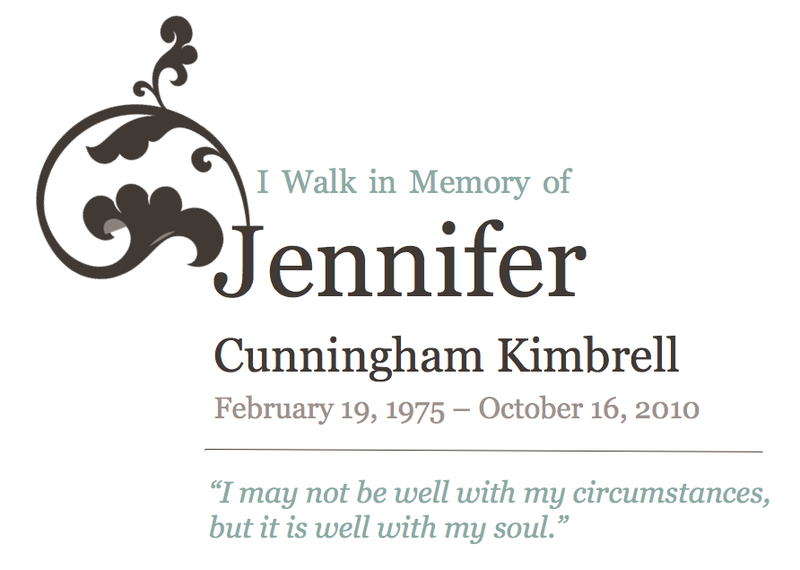 Friends and family are encouraged to share their favorite memories of Jennifer, prayers and encouragement by submitting stories and notes via her online guest registry.